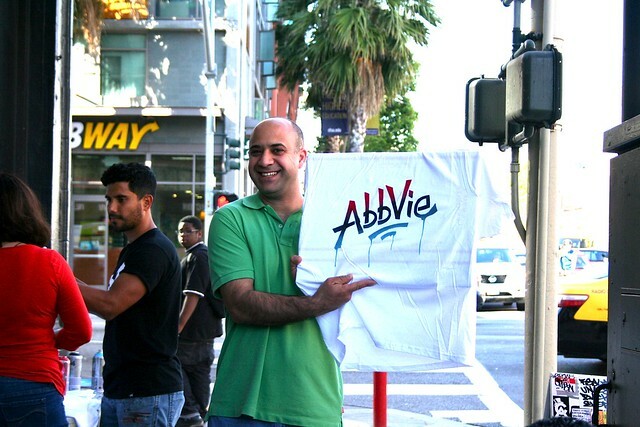 Home/Classes, Community, Mural Production, Team Building Workshops/Welcome AbbVie! 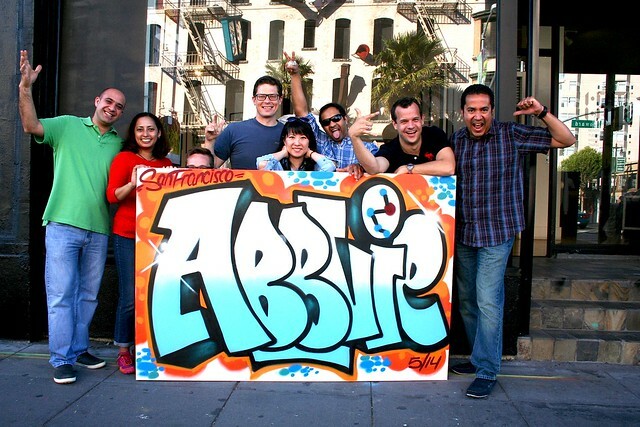 AbbVie flew in from around the country for a team offsite and learned about the history of graffiti, stenciled their own T-shirts and worked together to make a mural. Check out one of our most favorite group photos! To setup an event for your team, email privateevents@1AMSF.com.